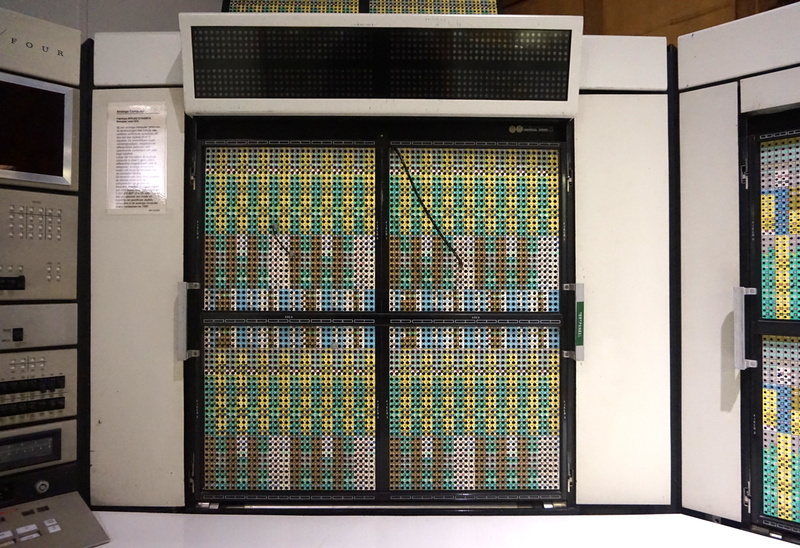 Pictures of the fantastic Applied Dynamics / Four hybrid computer on display in the Museum for the History of Science in Gent, Belgium. 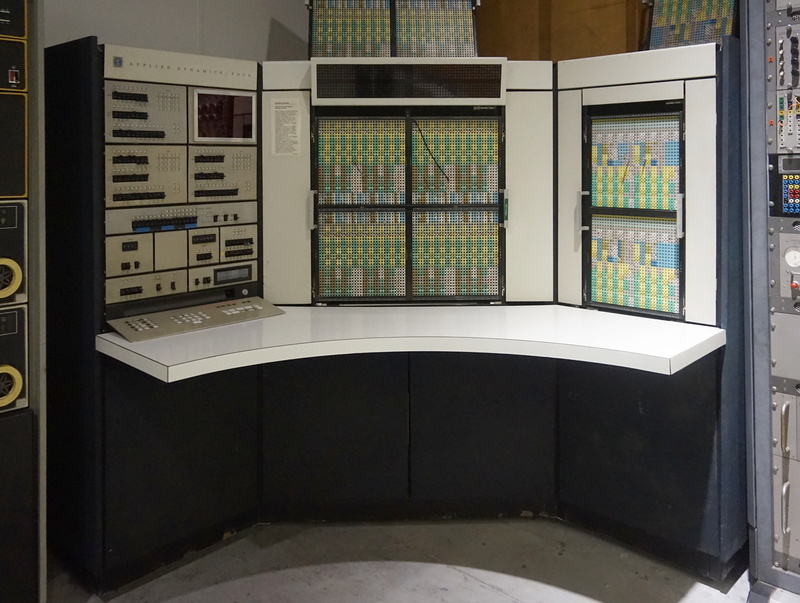 One of the most desirable machines in my sector of the universe. 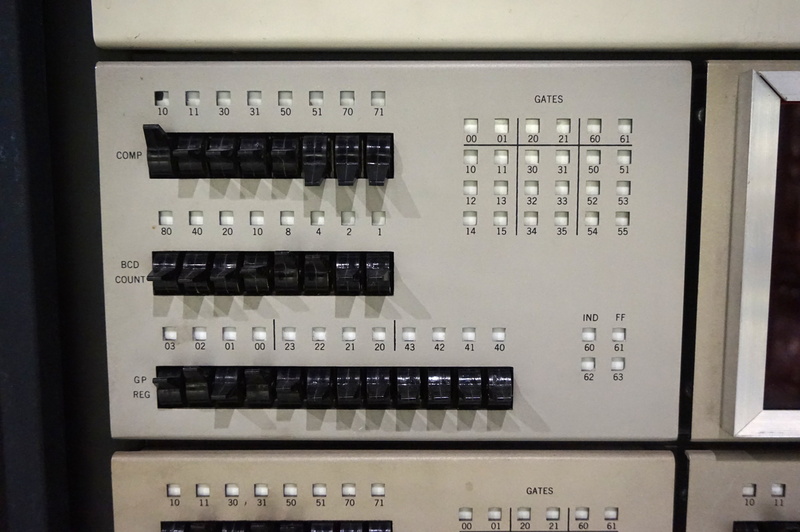 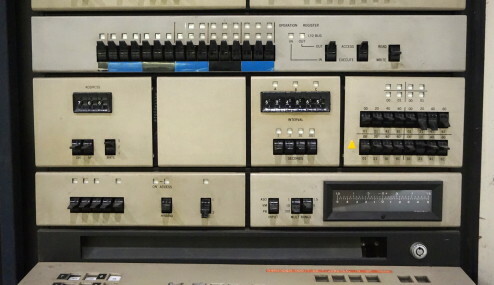 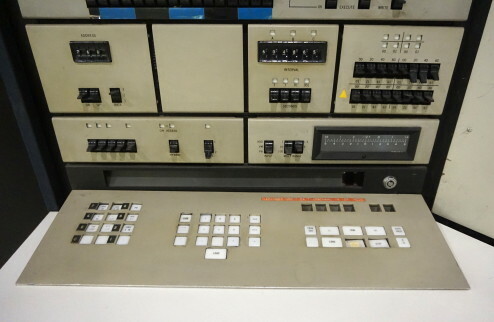 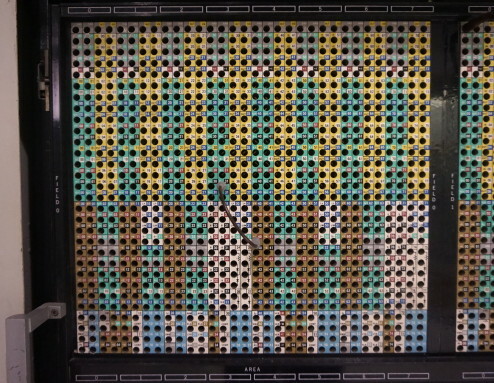 As far as I know, the AD/FOUR was one of the last hybrid computers developed by Applied Dynamics, a company from Ann Arbor that started building analog computers in 1957. The AD/FOUR was introduced in 1966, and the information card of the museum tells us that this particular computer was manufactured around 1970. 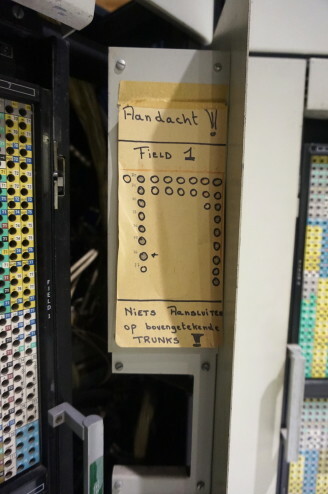 Their computers seem to have been used quite a lot in the low countries, since the Technical University of Delft used to have two of these, and the University of Amsterdam used to have an AD/FIVE. The machines from Delft have been scrapped or sold, the one in Amsterdam is in storage and part of the collection of their Computer Museum. There is very little information about this machine online; if what I write is incorrect or if you know more, please contact me ! 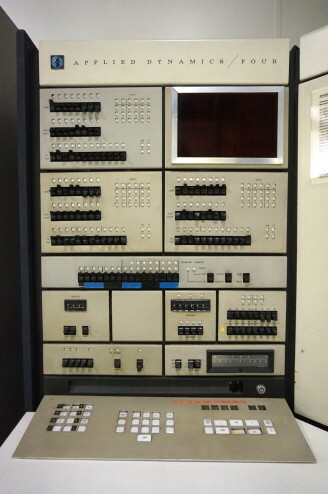 And if you need to get rid of a machine like this, please contact me too ! 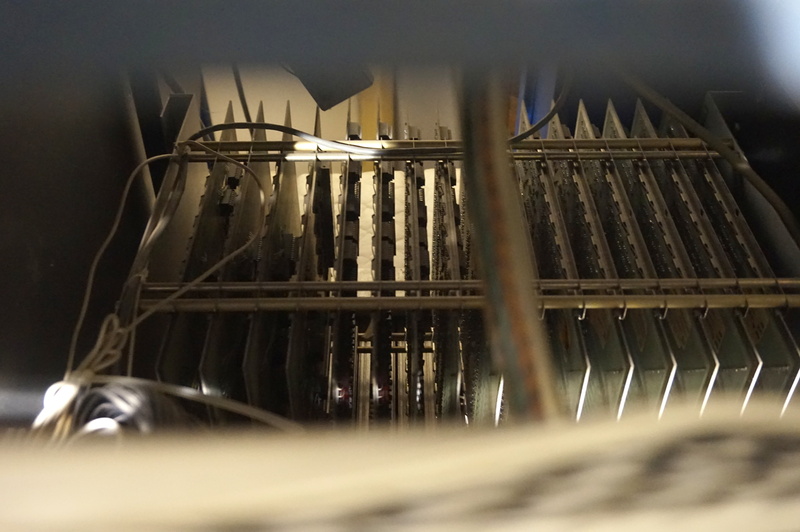 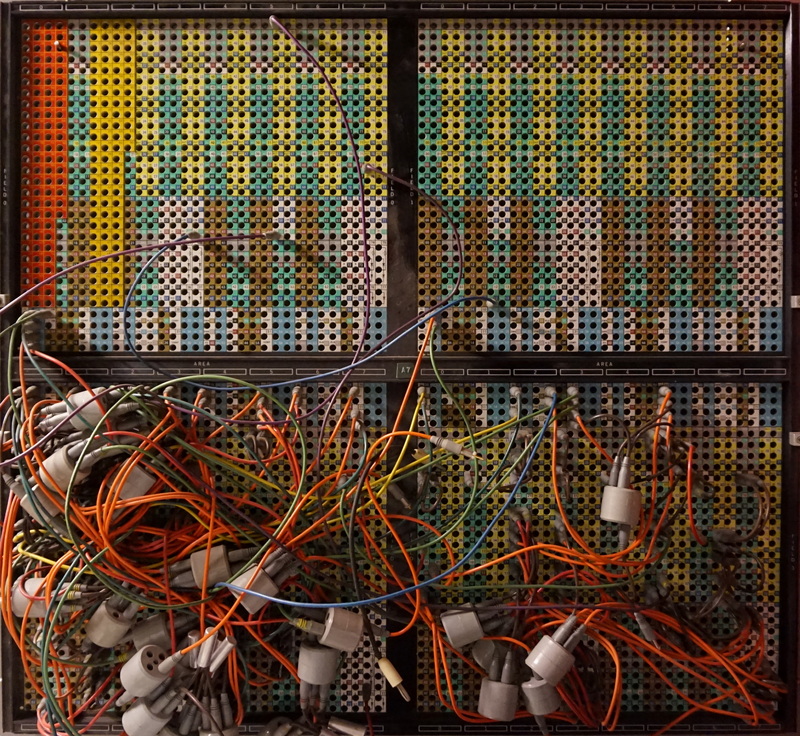 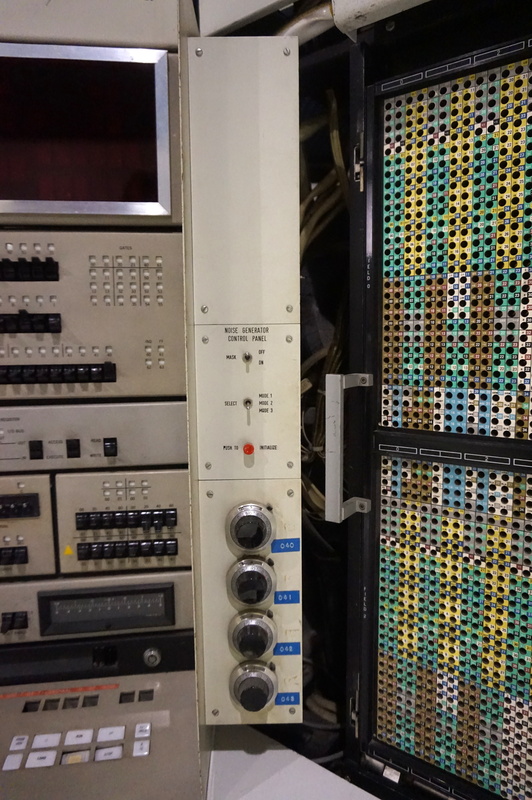 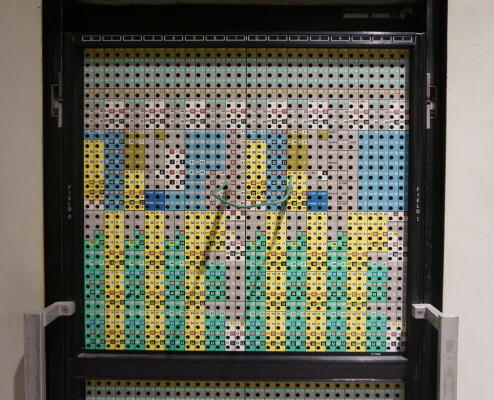 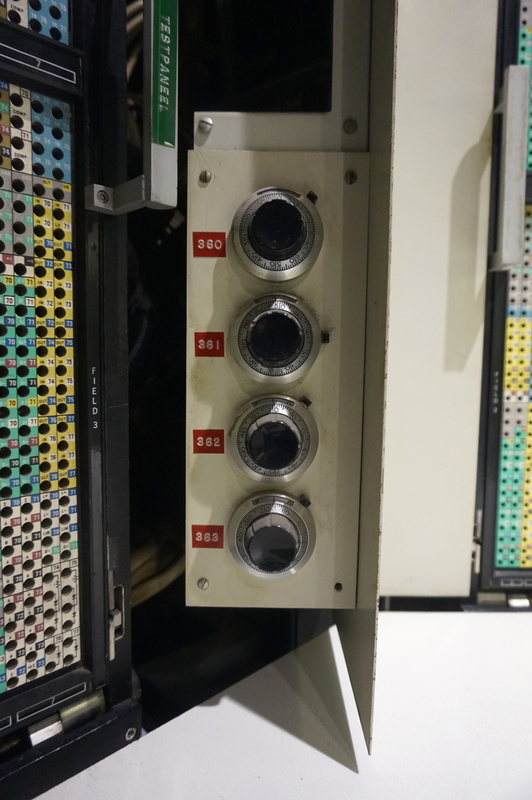 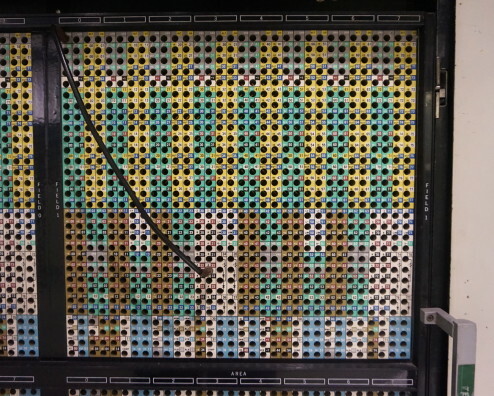 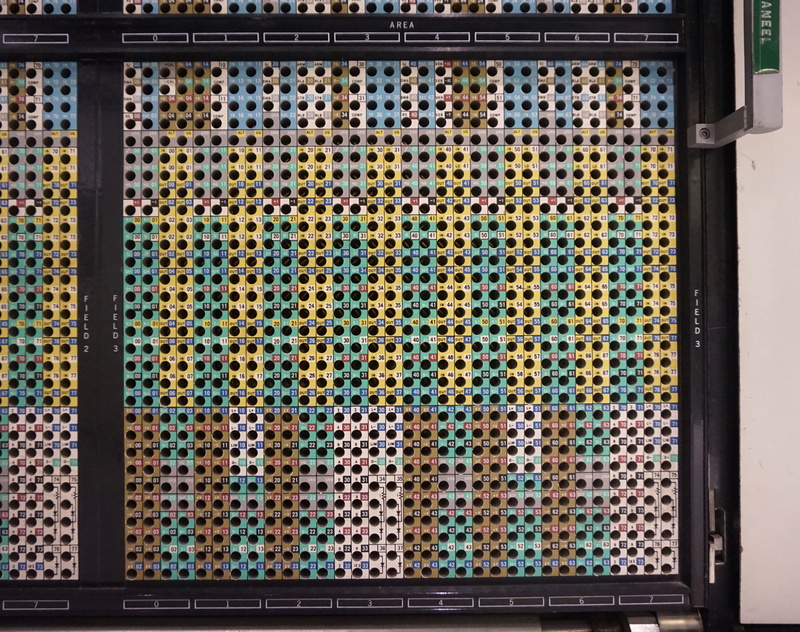 On the left the control panel, in the center the main patch panel, and on the right the patch panel for the digital functions. The control panel for the digital functions, and presumably also for the setting of servo potentiometers. 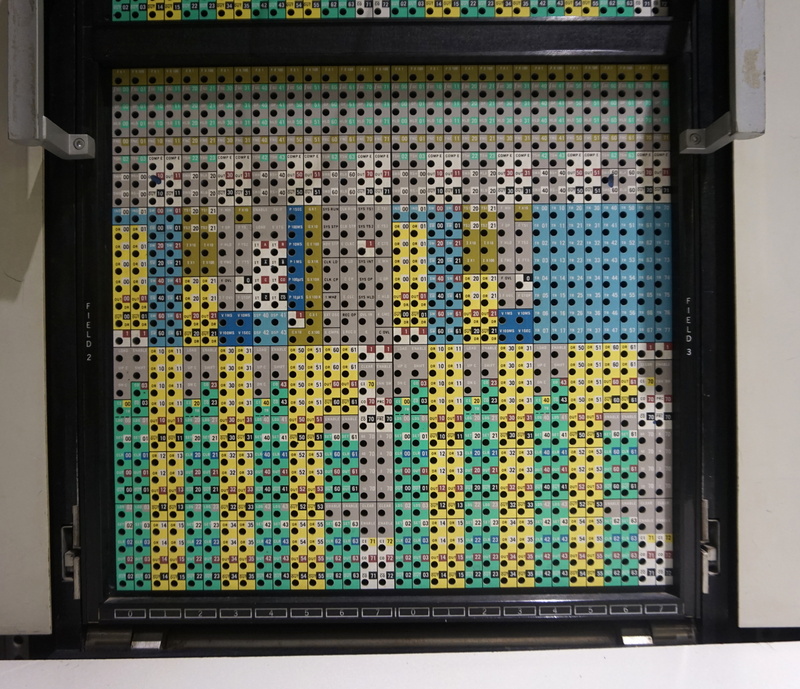 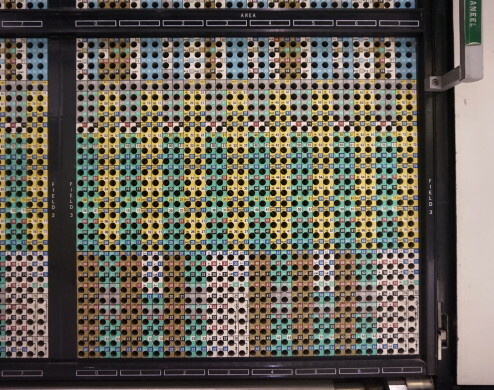 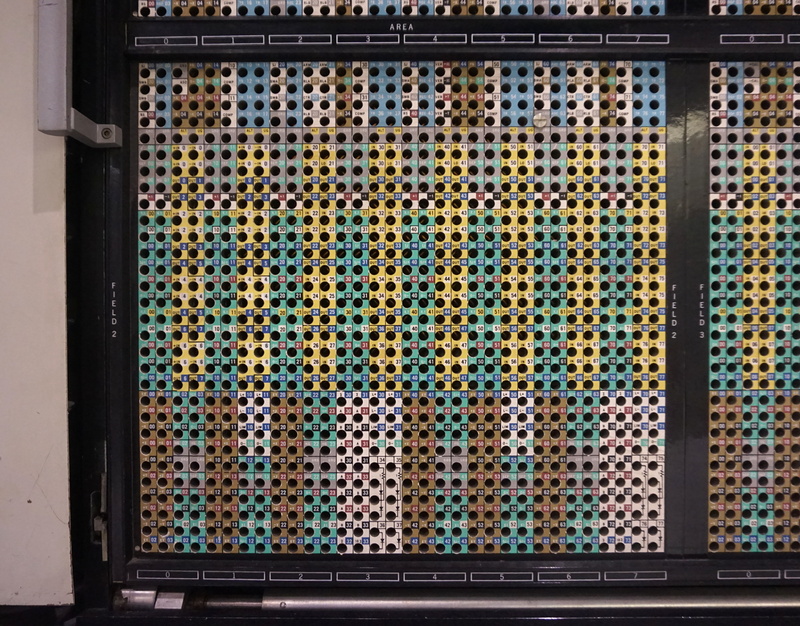 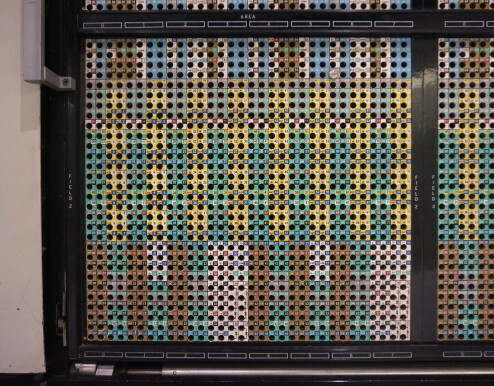 The main removeable patchpanel, with above it what are probably overload indicators for the computing amplifiers. 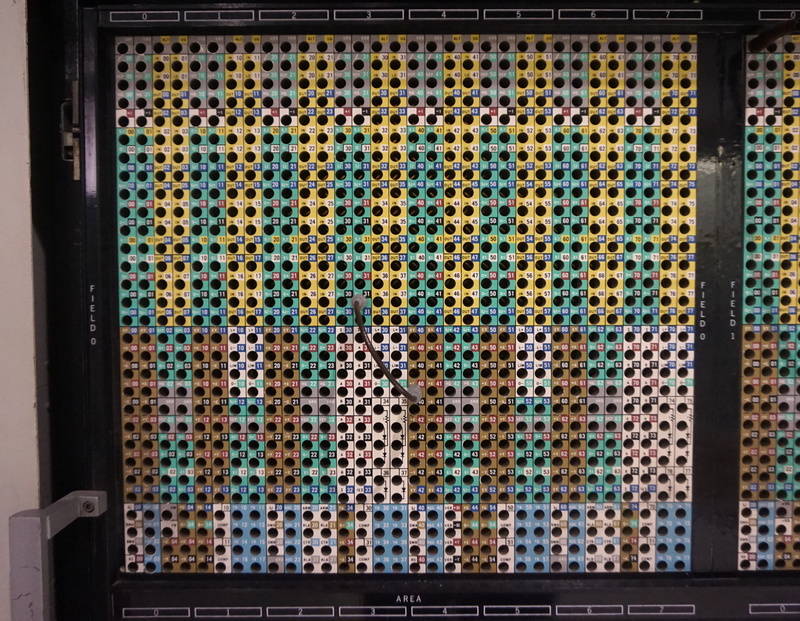 There are 4 blocks of 5 rows of 32 indicators, which seems to suggest a maximum of 640 amplifiers. 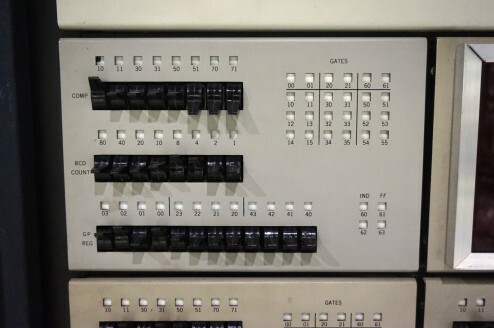 To the left and to the right there are small doors that contain some additional controls. 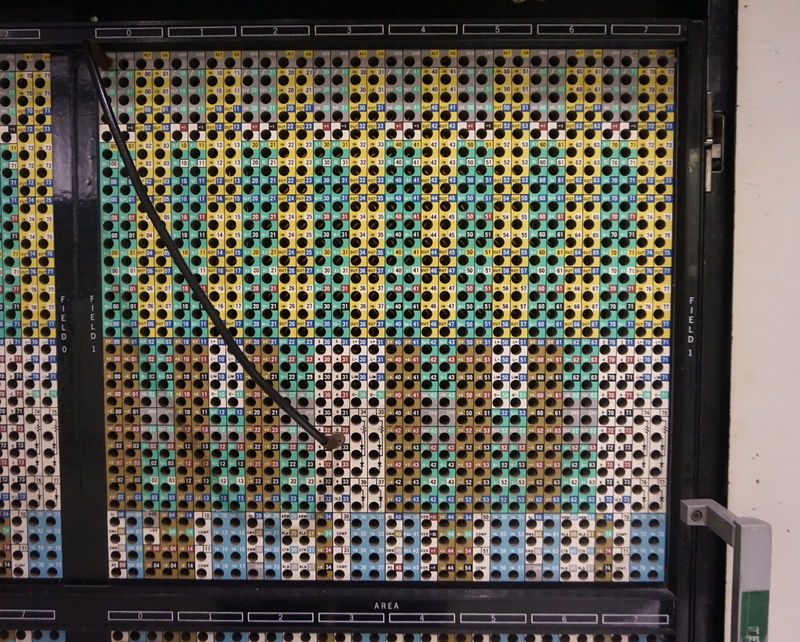 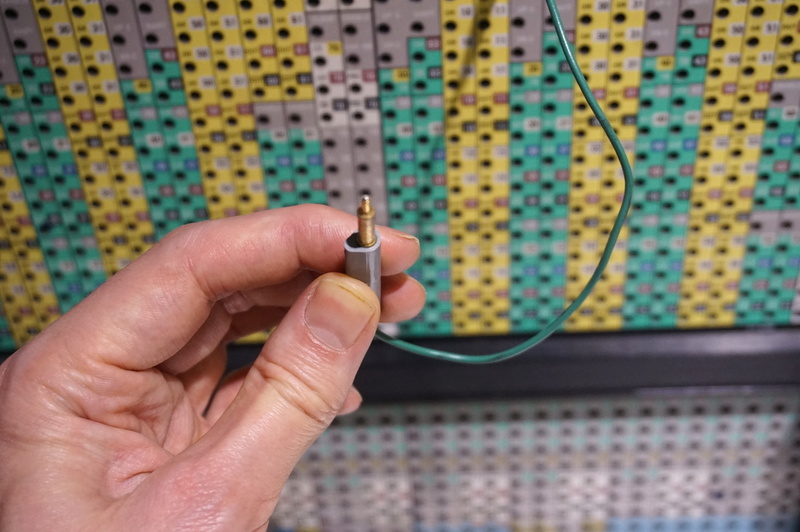 A close-up of a patch cable: shielded so I suppose the bandwidth must have been considerable.